Total privacy at your own charming private lakefront. Your only neighbors will be herons, water turtles, ducks and geese. Unplug and get away from it all with your family or special group of friends for true quality time together. 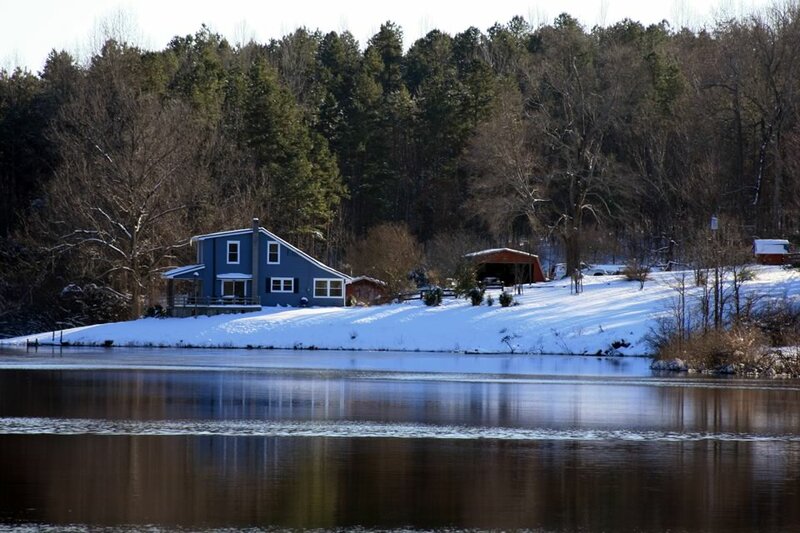 What better way to end a great day at the race track than with total peace and quiet relaxation in the cottage overlooking the 13-acre lake at this very private location. 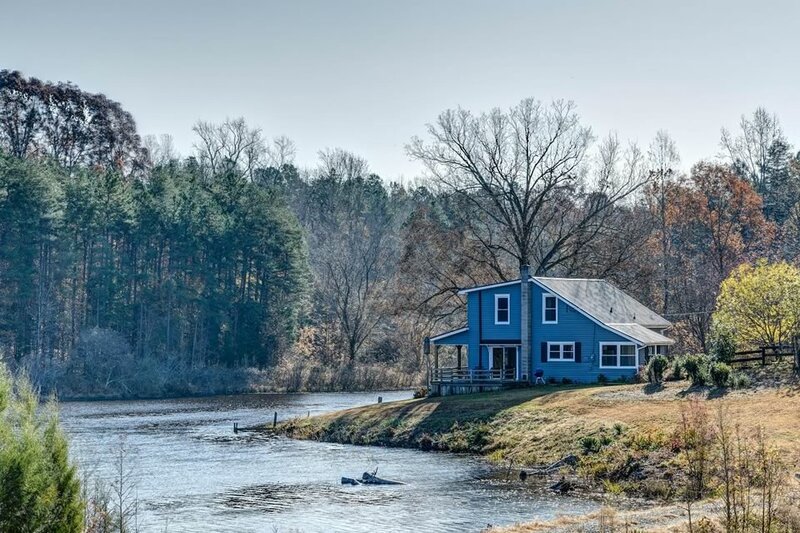 "On Golden Pond" comes to mind when you sit on the covered porch or open deck watching wildlife along the water's edge, surrounded by natural woods. 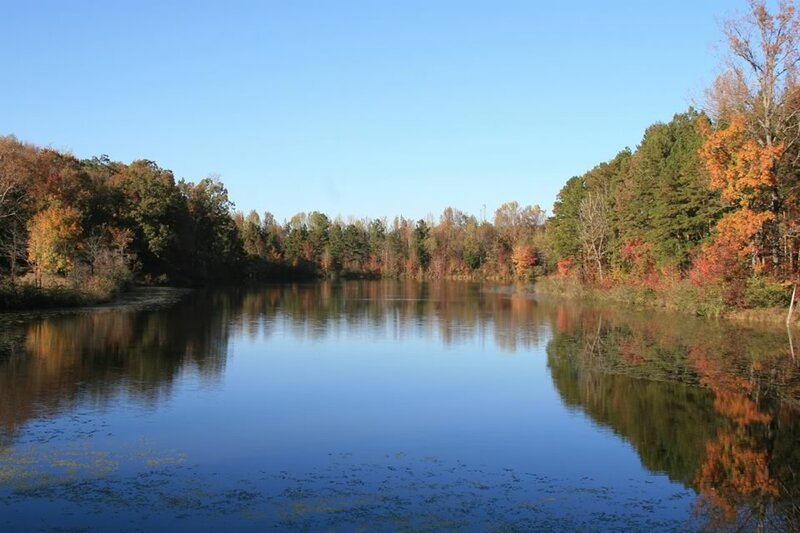 The lake is stocked with plenty of largemouth bass and sunfish, and you're welcome to fish while staying at Merrybrook. Merrybrook Cottage is on the Villa Cathedral property but has a separate driveway and is isolated from the Villa Cathedral farmhouse by a stand of woods. "Rustic" in setting and decor, the cottage has 3 bedrooms with 2 baths and sleeps 5 comfortably. The downstairs bathroom has a tub/shower combination, while the upstairs bathroom has an original claw-foot bathtub with a view out over the lake. Additional futons or airbeds may be added for additional bedding with prior arrangements.